Had the opportunity to take out long time Repeat Wayne Spoo for a few hours trolling on the beach and it was a very rewarding trip. We met at the dock at 7:30 am and by 8:00 AM we already had fish in the box. 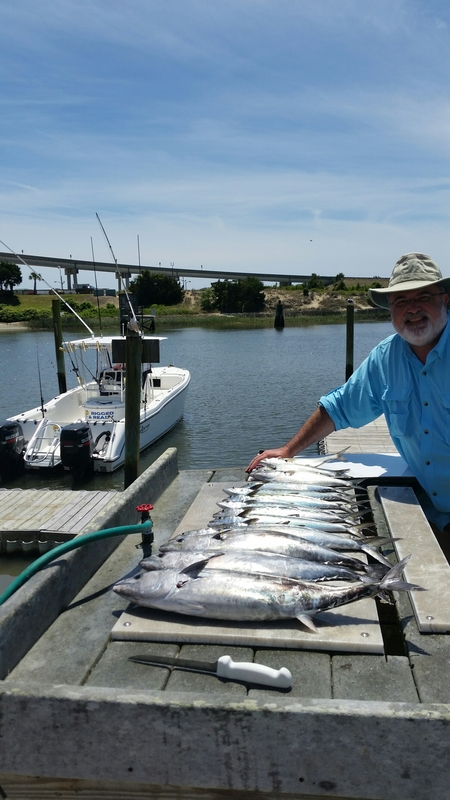 Check out www.riggedandreadycharters.com for your next Nearshore Fishing Charter out of Holden Beach, N.C.
« 5-3-15 Gulf Stream Fishing Charters Off Holden Beach, N.C.